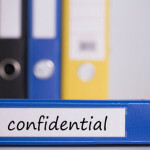 In a process that began six years ago and is likely to continue for months, the federal Substance Abuse and Mental Health Services Administration (SAMHSA) is proposing to revise the confidentiality regulations governing substance use disorder (SUD) treatment records, also known as 42 CFR [Code of Federal Regulations] Part 2. The current rule, first promulgated almost 40 years ago, requires that a patient give consent in writing to the treating provider, and the consent must specifically identify the person who will be receiving the information. In February, SAMHSA proposed a change that would allow the patient to give “general consent,” so that the information could go to a health care system, for example, not just an individual. This would make consent more convenient under the new electronic health systems that have replaced paper systems. The Legal Action Center, which helped write the 42 CFR Part 2 regulations, and the American Association for the Treatment of Opioid Dependence (AATOD), two organizations that are supportive of the rights of methadone patients, endorsed SAMHSA’s proposed changes. But H. Westley Clark, MD, JD, who was director of SAMHSA’s Center for Substance Abuse Treatment during the discussions about 42 CFR Part 2, is very concerned that patients understand what they are consenting to. And for Dr. Clark, the Legal Action Center, and AATOD, that is the key point of agreement: the logistics of consent. Opioid treatment program (OTP) “and other SUD providers need to be able to clearly explain what the patient is agreeing to,” wrote AATOD president Mark Parrino, MPA, in his April 11 comments on the proposed rule. 42 CFR Part 2 was instituted originally because law enforcement officials were going into OTPs looking for patients. Clearly, this is not the way to encourage people to seek treatment. And law enforcement would still like to have the names of patients in OTPs. similar to those of the 1996 Health Insurance Portability and Accountability Act (HIPAA). They said that the adverse effects of disclosing an SUD no longer exist, but SAMHSA recognizes that this is far from the truth. But OTPs are outnumbered when it comes to changes in 42 CFR Part 2. Medicaid administrators; vendors of electronic health records (EHRs); the American Society of Addiction Medicine; the National Council for Behavioral Health; health insurance companies, including those specializing in mental health and addictions; and others have supported weakening 42 CFR Part 2, and were disappointed with SAMHSA’s proposed rule. However, OTPs have some powerful patient privacy rights advocates on their side. The 42 CFR Part 2 regulations were first issued in 1975, and were last amended in 1987. Congress enacted the confidentiality law because without such privacy protections, people wouldn’t go into treatment. That would be a grave public health problem, and SAMHSA recognizes that. Police no longer raid OTPs, but that, according to the Legal Action Center, is a tribute to the success of OTPs. Yet sanctions continue. Mothers can lose custody of their babies; people can lose their jobs, be put in jail, be unable to get a job, and more, say advocates. 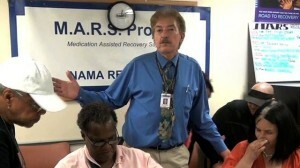 For those who claim that as health care providers they need to know whether their patients are on methadone, the best answer comes from Walter Ginter of MARS: he carries a list with him that says what medications he is on, so that if he ever is in the emergency room, the health care provider will know. In addition, he tells his doctors—whom he trusts—what medications he is taking. There is no reason for it to be included in his EHR.